PAPUA New Guinea will host the 2013 and 2015 Oceania rugby tournaments in Port Moresby, the Federation of Oceania Rugby Unions announced yesterday. PNG Rugby Union president Richard Sapias said they were honoured to host the tournaments. 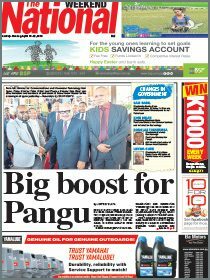 “The PNGRFU are extremely excited with the opportunity to host the Oceania Cups in 2013 and 2015,” Sapias said. 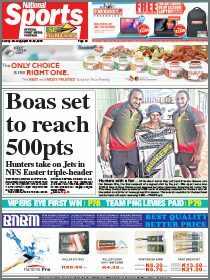 “Our region boasts a rich rugby tradition and the Oceania Cup will provide a great opportunity for the players of the region’s development unions to gauge themselves against their Island rugby cousins. Oceania Cup tournament director Michael Groom said the PNGRFU had hosted major international rugby events in past, including the 2011 Oceania Cup, and believed they would again deliver successful tournaments in 2013 and 2015. “In recent years, the PNGRFU has hosted Rugby World Cup qualifiers, Oceania Cup Finals and the 2011 Oceania Cup – they have an enthusiastic event management team, and they will be excellent hosts for the participating Oceania Cup teams, officials and media,” Groom said. “We’re excited to again be taking one of our flagship events to Papua New Guinea, a union which has achieved excellent progress in international rugby in recent years – including qualifying for the 2010 Junior World Rugby Trophy, Commonwealth Games (where they defeated Tonga and Canada to win the bowl), the Asia Pacific women’s sevens tournament (winners and runners-up), the HSBC Sevens World Series, and of course reaching the final stage of qualification for Rugby World Cup 2011. The Oceania Cup member unions are American Samoa, Cook Islands, New Caledonia, Niue, Papua New Guinea, Solomon Islands, Tahiti, Tuvalu, Vanuatu and Wallis & Futuna. PNG are the defending Oceania Cup champions after winning last year’s event that saw them go undefeated.